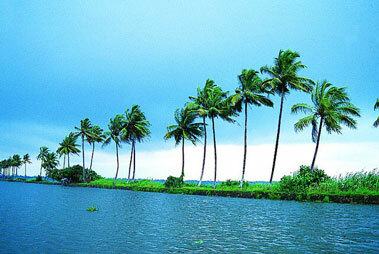 Kumarakom beach is a perfect place to relax and enjoy various types of beach activities and water sports. Located on the banks of Vembanad lake (one of the largest lakes of Kerala), Kumarakom is a small island blessed with enchanting beauty. 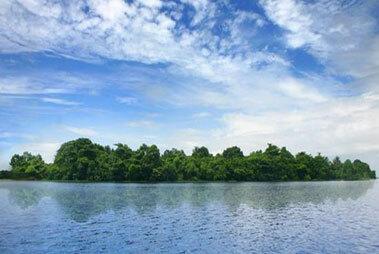 Tourists visit this place specially to enjoy the famous snake boat festival. 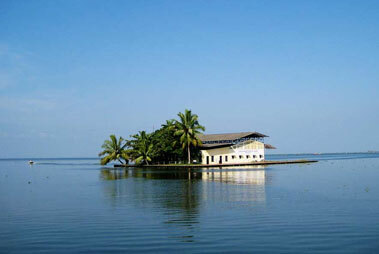 The picturesque surrounding of the Kumarakom beach attracts huge number of tourists from all parts of the world. The beach gives a peaceful and relaxed experience and is well-facilitated with all basic requirements like spacious resorts, shopping complexes and restaurants. The beach allows various outdoor activities including water skiing, wind surfing, parasailing, boating, sunbathing and swimming. 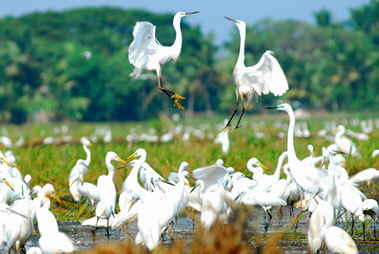 Other than its captivating beach, Kumarakom also offers its visitors with the Kumarakom Bird Sanctuary, Backwater Cruises, Vembanad Lake and Aruvikkuzhi Waterfalls. 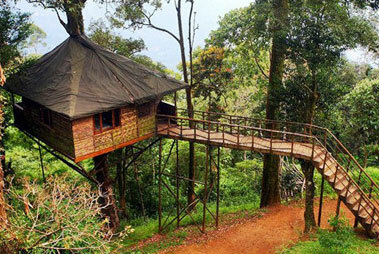 Kumarakom Bird Sanctuary is paradise for Bird lovers as they can watch a wide variety of birds. Although Kumarakom is one of the most famous tourist spots in Kerala but the best time to visit Kumarakom beach is in winter when the temperature drops to 18 degree celsius. Also the beach has sufficient number of luxury hotels and resorts. 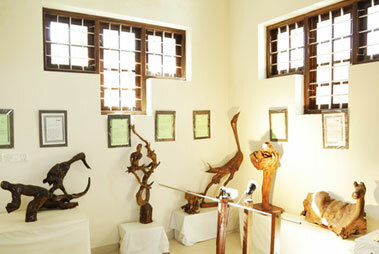 Some of the accommodation options are Kumarakom lake resort, Water Scapes, Garden Retreat and Whispering Palms. 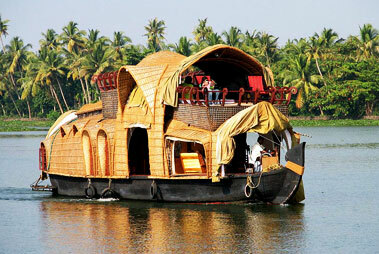 One can easily reach Kumarakom beach by all modes of transportation. Cochin Internatinal airport is the nearest airport to Kumrakom, 70 km away and the nearest train station is Kottayam, 14 km away. 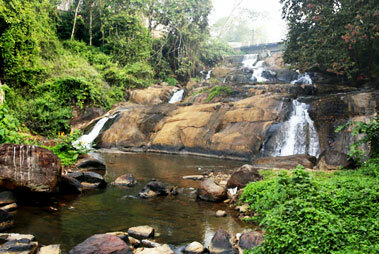 Kumarakom is well-connected to all the major cities of India like Delhi, Mumbai, Jaipur and the other nearby places. 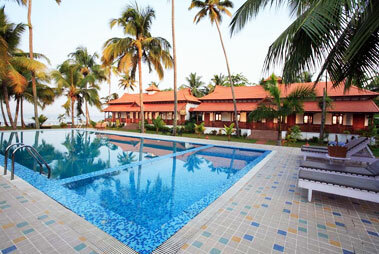 Cocobay Resort in Kumarakom provides a chance to stay amidst the spectacular Vembanad Lake with . 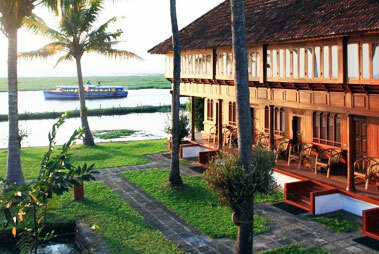 . . Read More..
Coconut Lagoon Resort of Kumarakom over the years has developed as a popular holiday destination . . . Read More.. 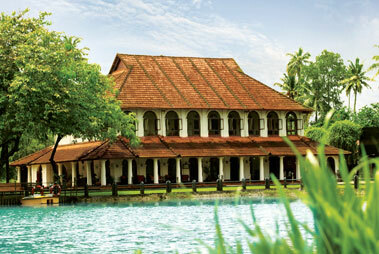 The 5-star establishment in Kumarakom, Vivanta by Taj Kumarakom, offers a stay like no other, . . . Read More..